Greetings. 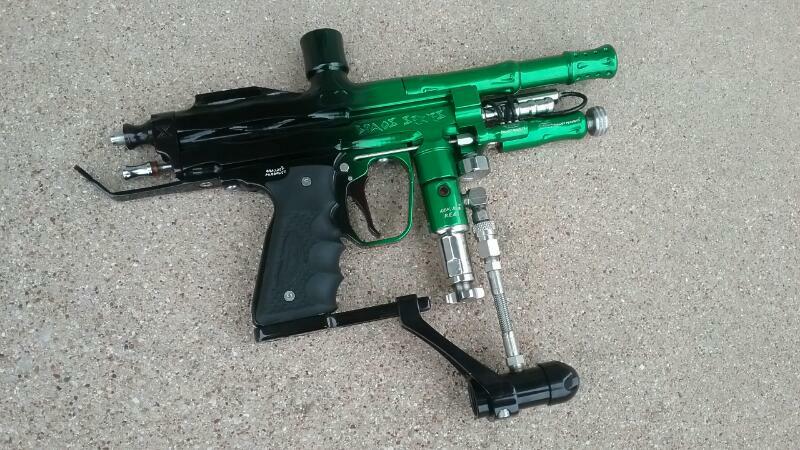 Up for sale today is a Custom Automag and an ANS GX3Autococker. The markerd comes as shown in the pictures below. Both are fully functional with all orings and urathane reg seats replaced throughout each gun and are properly timed. The end result are markers that air up, without leaks, and cycle properly. However, velocity adjustment will be up to the new owner as they will have to be in accordance to thier field's FPS limit. 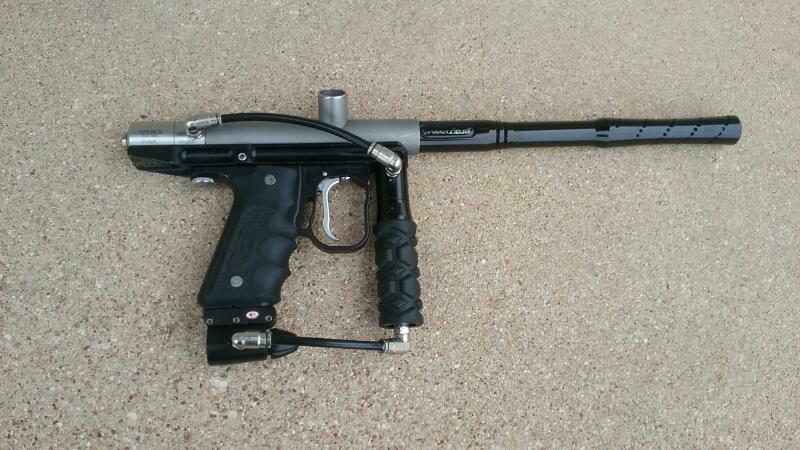 The Automag has a doc's autococker barrel adapter installed in it and an agd roller sear installed in it as well. The ule rail was a project rail that originally came from another mcb member (years ago) who attempted to do a right feed install but didn't have the tools do do it all the way. I've completed the rail since then and added a barrel twistlock pin to the rail so a doc's barrel adapter would lock in for the right feed body. 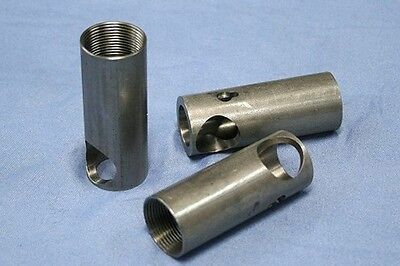 Rightfeed elbow tube is professionally cut, deburred, and edges polished to eliminate sharp edges. 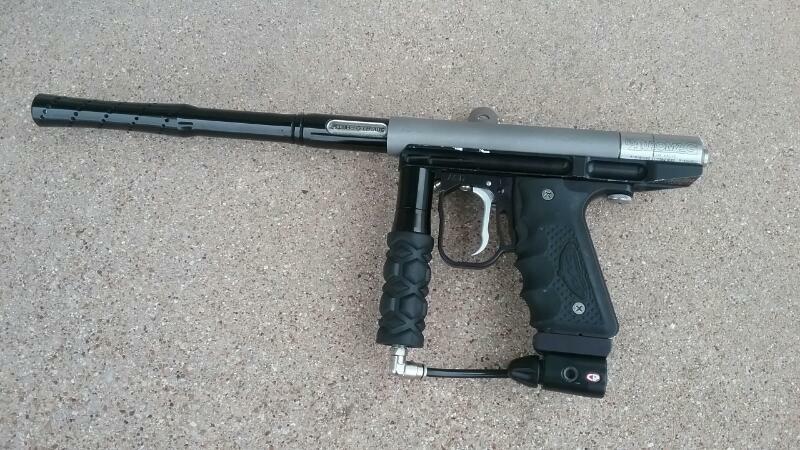 The autococker is all ANS, except except for the ram (wgp sto) as the ANS mini ram (non rebuildable) had failed after years of use and required a working serviceable ram. SEND ME A PM IF THIS IS SOMETHING YOU WANT TO BUY. Last edited by Mr. Red; 04-14-2019 at 11:02 AM. 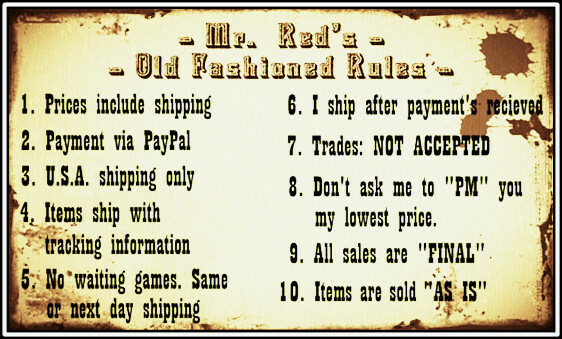 Q1: Will you accept trades for your listed items? 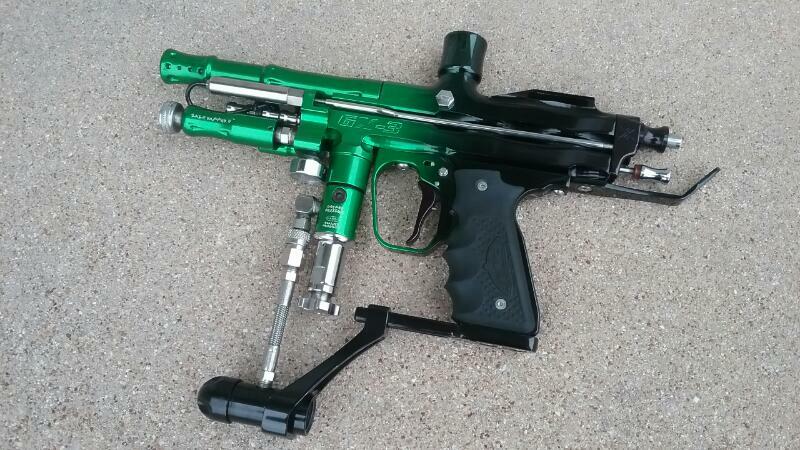 That GX-3 is CLEAN. Also, I've never seen a GX-3 with a hinge. I thought only the GX-4's had them. Very cool. What's a Doc's Barrel Adapter? Take Cocker threads now?